Simon Singh is currently being sued for libel by the British Chiropractic Association. 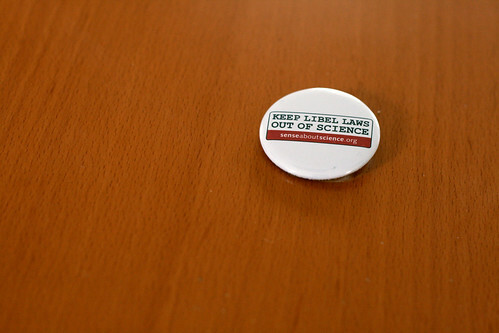 Sense About Science has launched a campaign asking for reform of the English libel system so that it does not stifle scientific debate and journalism in general. Please sign the statement of support and encourage others to join the campaign. This is an issue that affects anyone who cares about science, journalism and free speech.